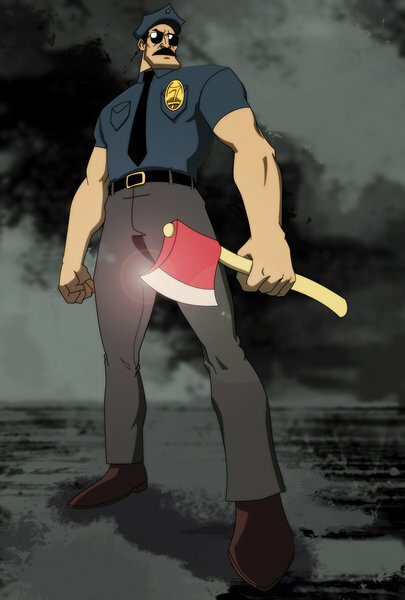 Yet, that’s not the only exciting news for AXE COP fans. FOX is giving these fans the ultimate interactive animation experience at San Diego’s ComiCon event on Island Ave. between First and Second Avenues. Get up close and personal with everything AXE COP. 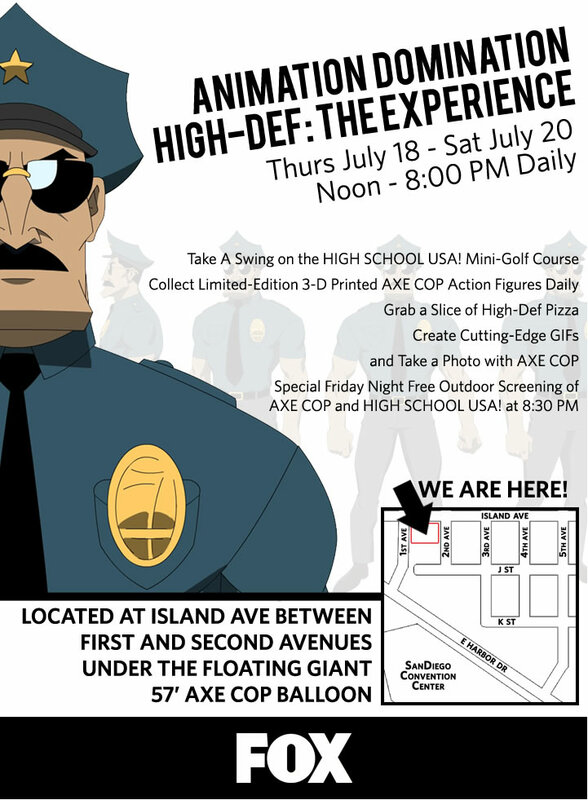 Visit the Giant 57’ AXE COP balloon; create cutting edge animated GIF’s via the Face-GIFer app to share with their friends; and collect all four exclusive AXE COP figurines – printed daily on Stratasys 3-D printers, provided by the animated Southern California 3D printing technology reseller, Purple Platypus. Collecting all four exclusive figurines—AXE COP, GREY DIAMOND, LIBORG and ARMY CHIHUAHUA MAN-—printed daily by 3-D printers. RMY CHIHUAHUA MAN-—printed daily by 3-D printers.